of Bay City/Midland area. These two have been friends for years, thus the name of their presentation: Friendship. But they have different tastes. 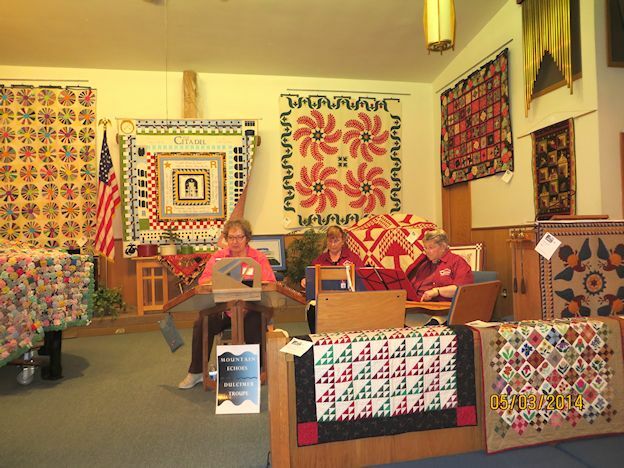 Linda likes paper piecing, machine piecing and bargello. 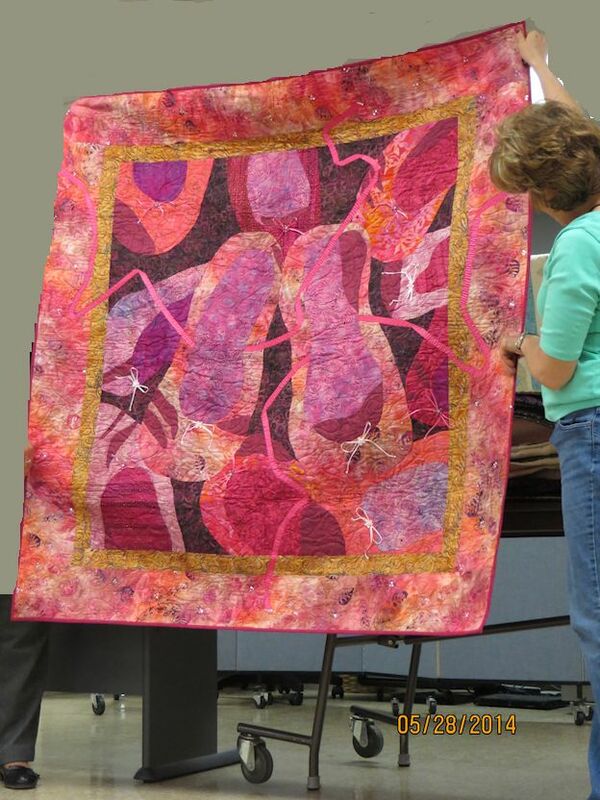 Leslie likes hand needle turn appliqué, wool appliqué, red work, and color tinting fabric. 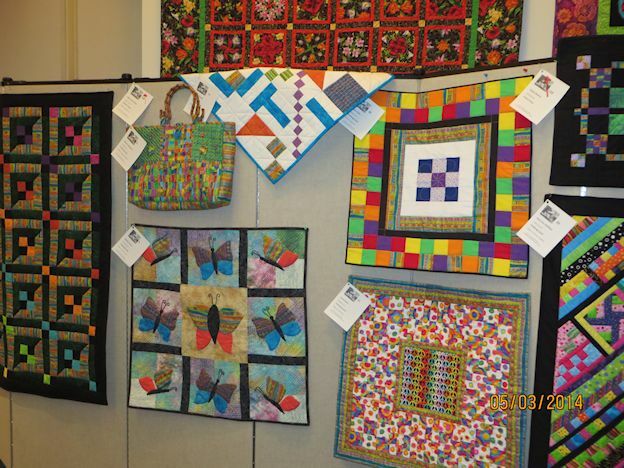 They will be bringing loads of quilts to show. Their pattern company : LAKE VIEW PATTERNS BY LINDA MC GIBBONS . 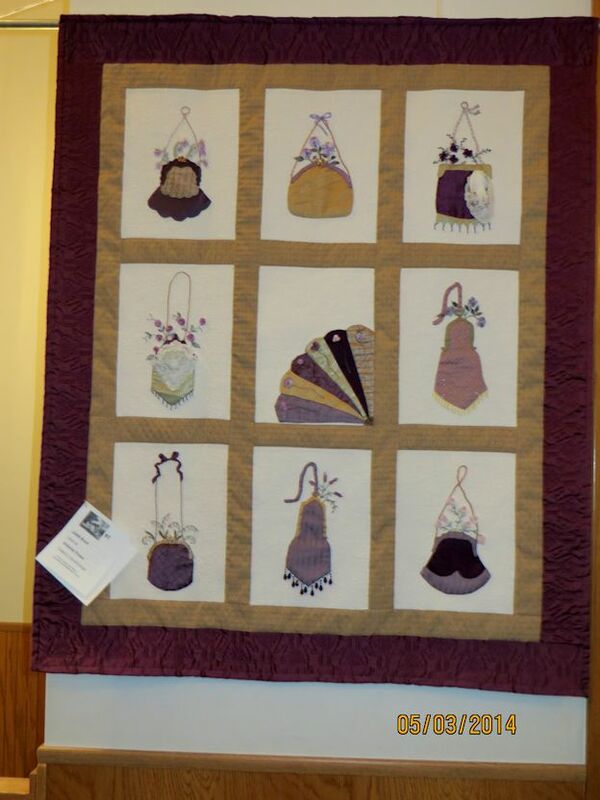 . .
Leslie enjoys embroidery and hand applique. 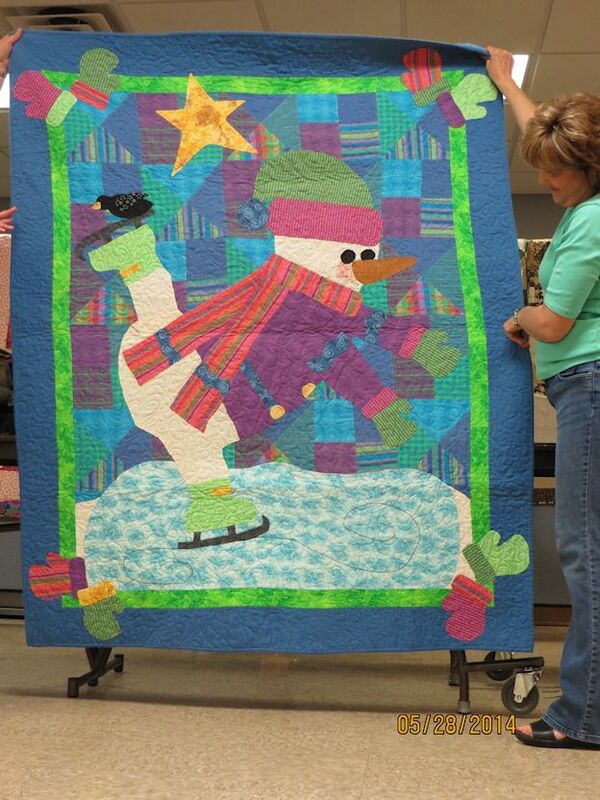 The majority of her quilts are done by hand … piecing and quilting. Her kids were involved in after school activities and sports. 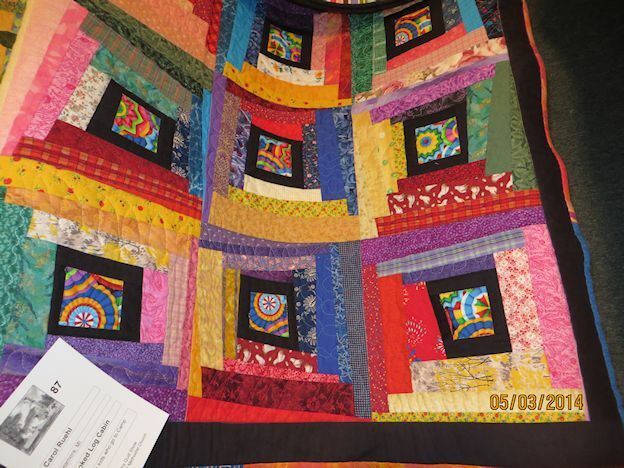 She said many of her quilts were totally made in her car and never made it into the house until it was completed. 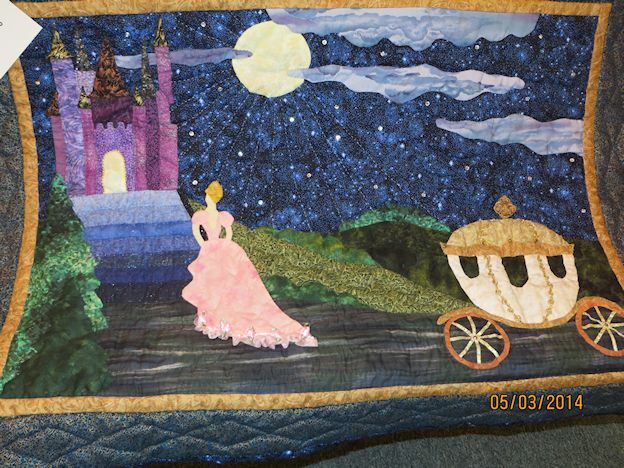 Linda made this quilt for her daughter to commemorate her love of ballet. 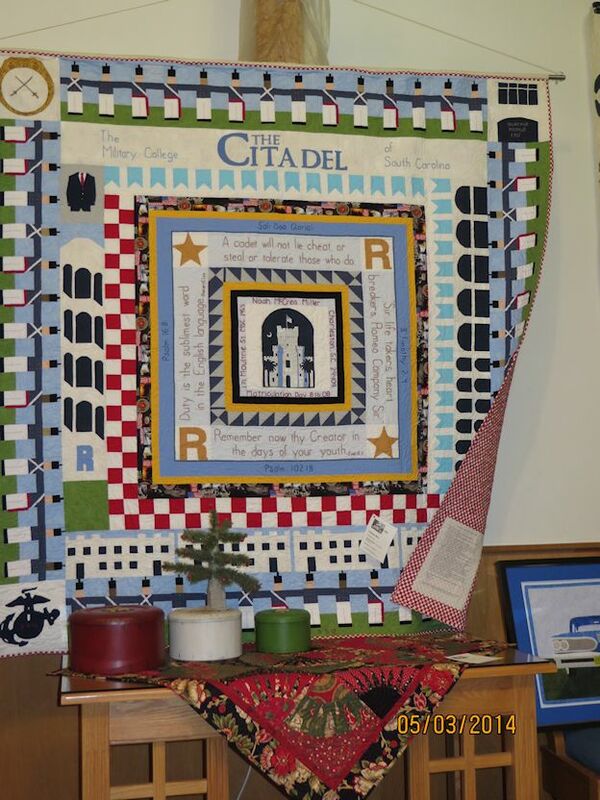 LESLIE said she made many of her large scale appliques by cutting the fabric out directly on the quilt. 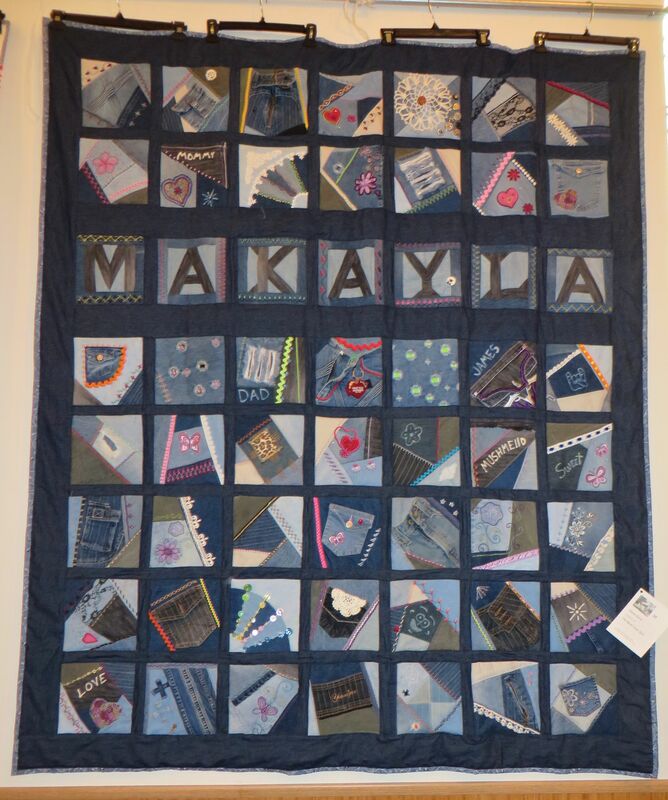 Each of her kids was given a quilt to suit their sports passions. 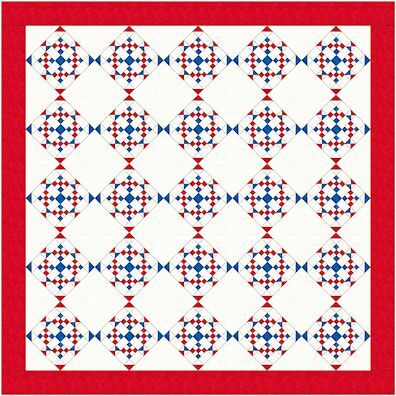 Linda gave Leslie some left over paper pieced MARINER COMPASS blocks from some of her projects, the problem was they were different sizes. 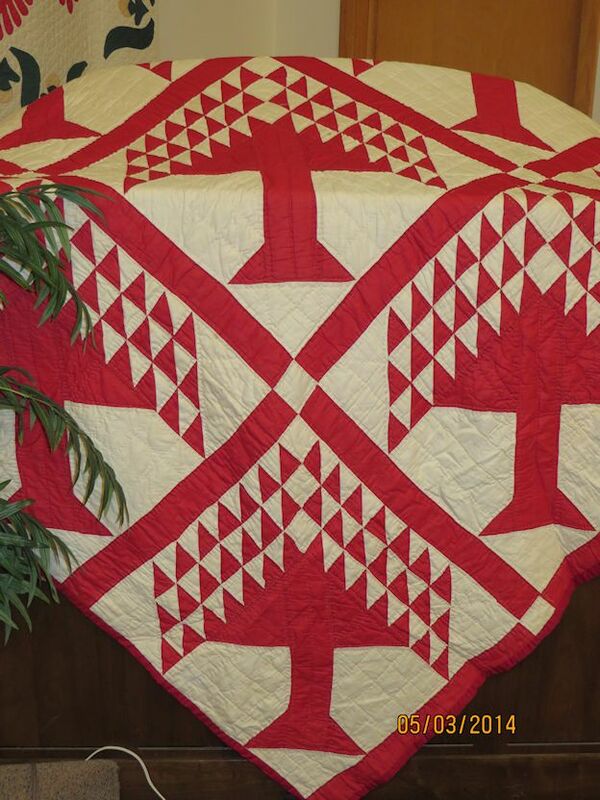 It was up to Leslie to design a quilt using those blocks. 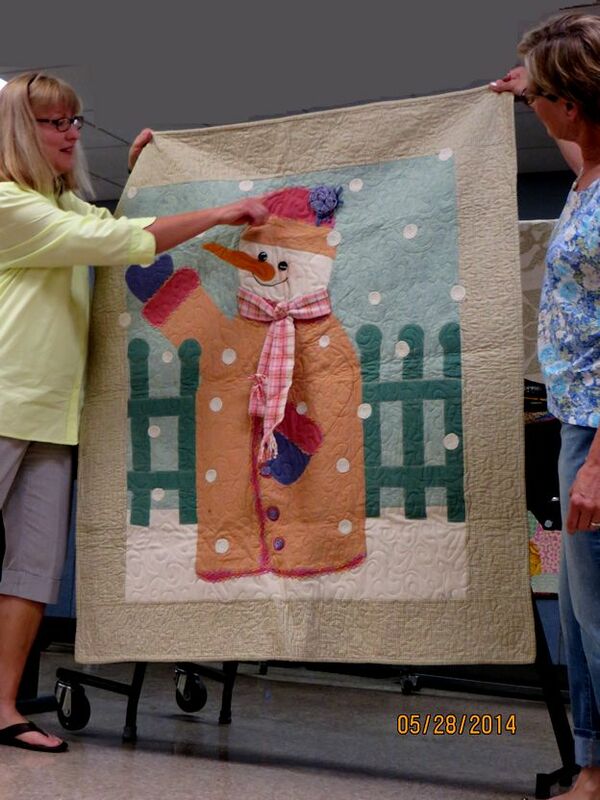 She used her favorite applique to unite and highlight the blocks. 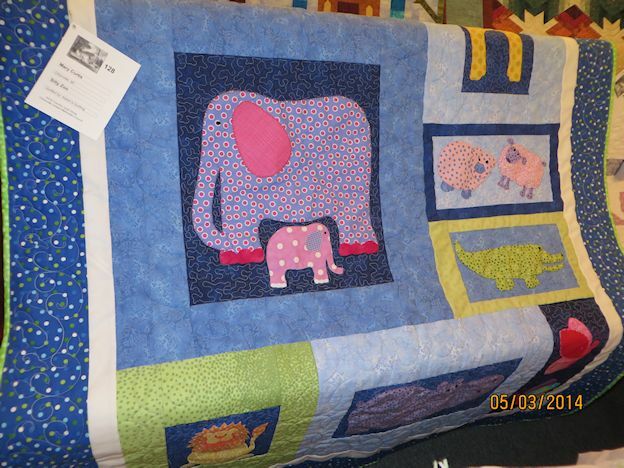 Everyone ohhhed and ahhhed over these quilts. 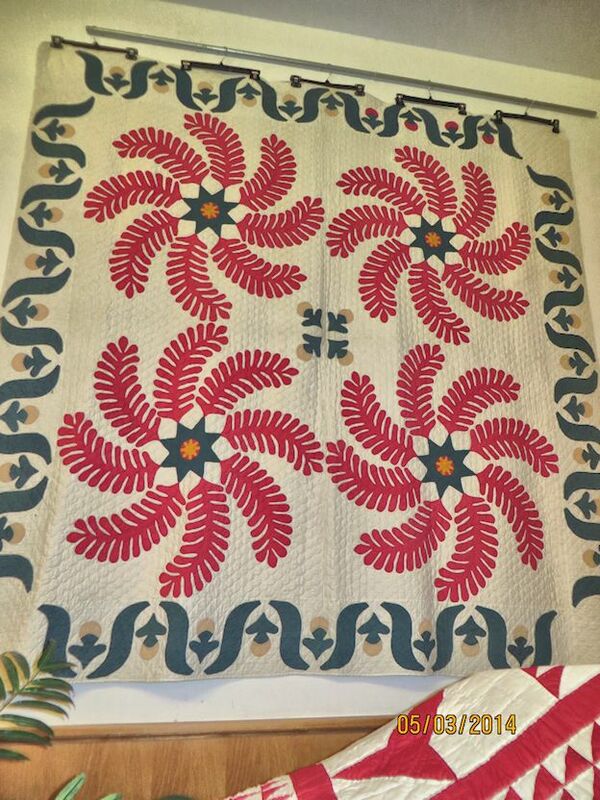 This wall hanging used a pieced background to highlight the and emphasize the applique. 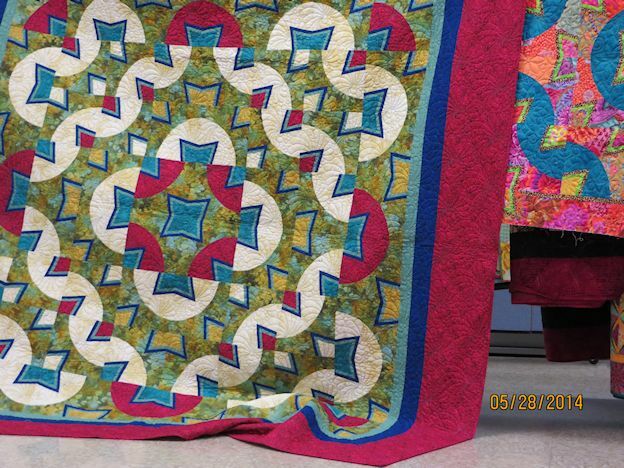 As part of her lecture, Leslie discussed how her quilting evolve over several years. 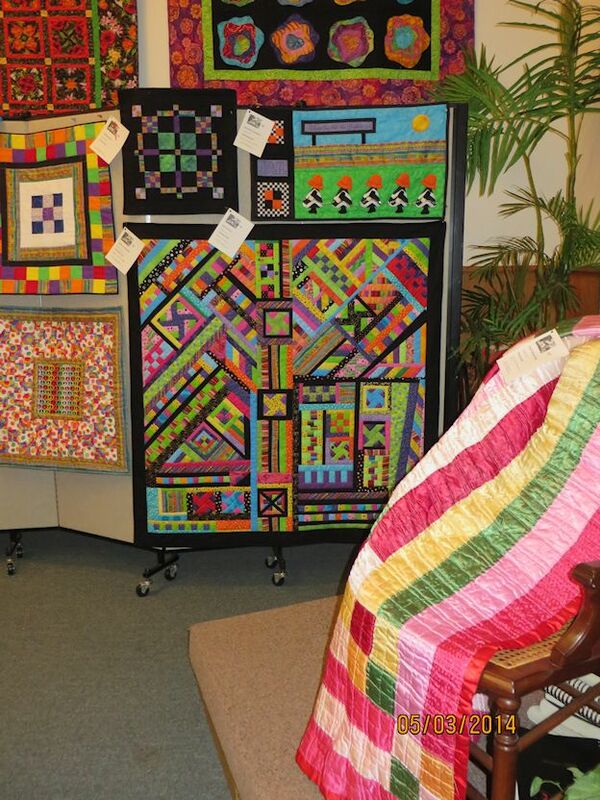 LINDA designs many of her own quilts using ELECTRIC QUILT. Her favorite method is paper piecing. 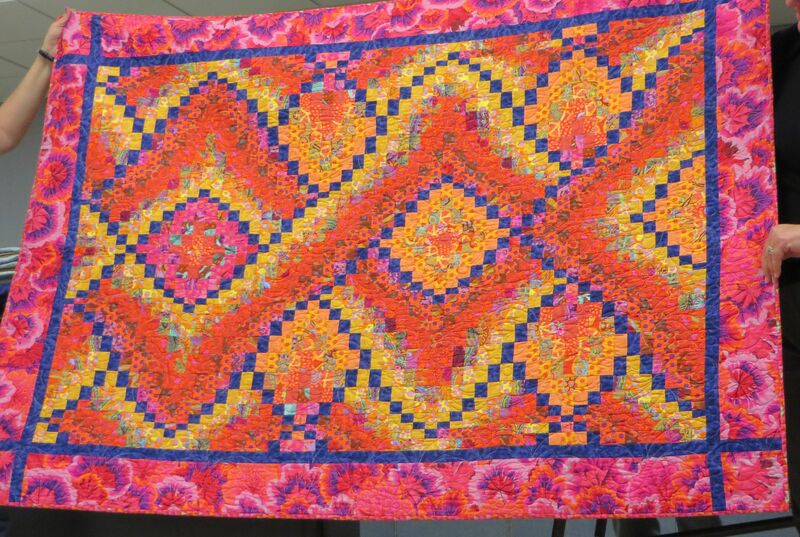 Many of her quilts were made using SEMINOLE piecing techniques. 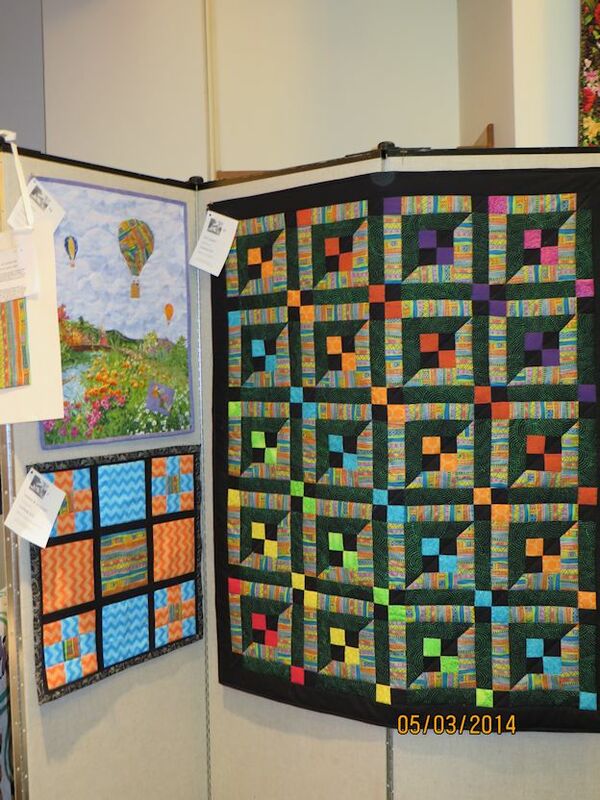 Bargello quilts is another of Leslie’s passion and style. RECENTLY, Leslie has been playing with the DRUNKARD PATH BLOCKS. 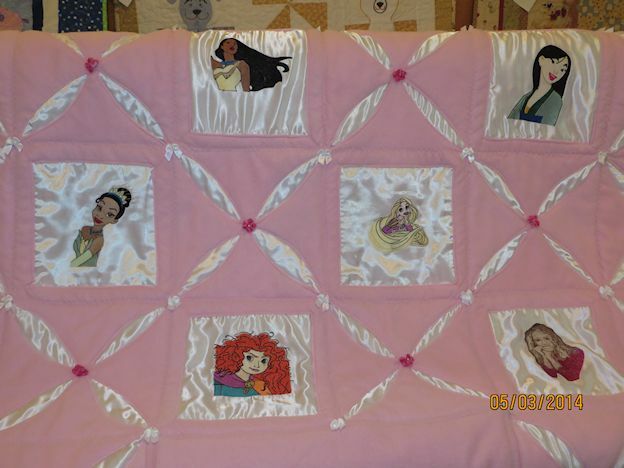 She has been seeing how far she can go with adding PIZZAZ to the blocks and quilts….. I THINK SHE HAS GOT IT! I am running away for a mini vacation with DH… so I will get back with you later with more pictures. 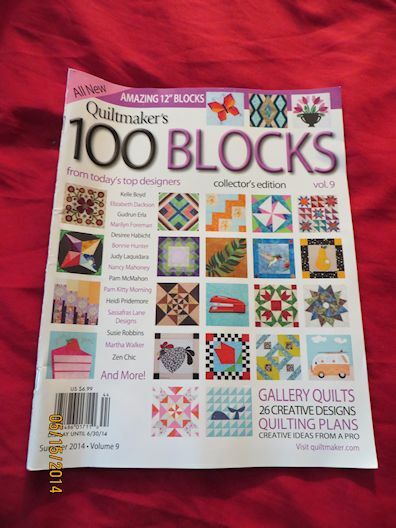 Just picked up 100 BLOCKS from QUILTMAKER MAGAZINE, this has become one of my favorite magazines. I look forward to each new issue. I enjoy going through and seeing what new blocks have been designed and picking out ones that MIGHT someday end up in a quilt of mine. 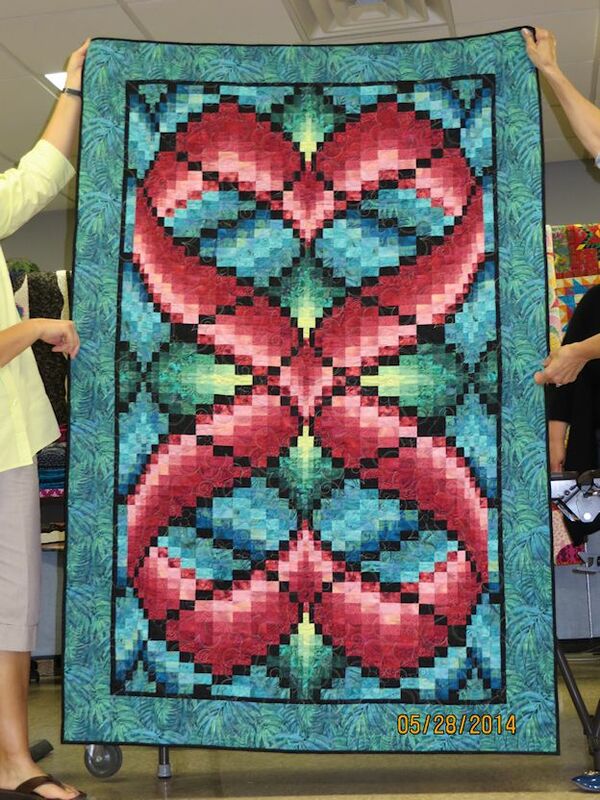 I love redrafting the designs in ELECTRIC QUILT 7 program and seeing how they look in a quilt. 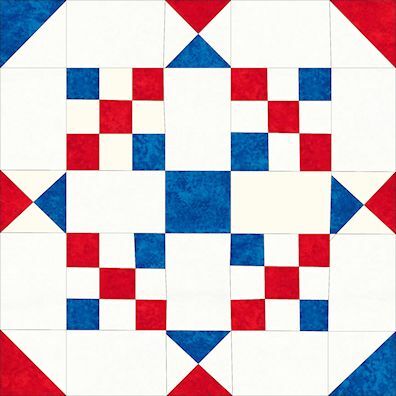 I know QUILTMAKER MAGAZINE releases another issue featuring quilts made from the blocks …. but I usually CAN NOT WAIT for that issue to be released. I also find the blocks and colorways they choose are not the blocks I would have chosen. So instead I draft my own blocks, of course, there are some changes because I am not very good in EQ, but I am getting better. 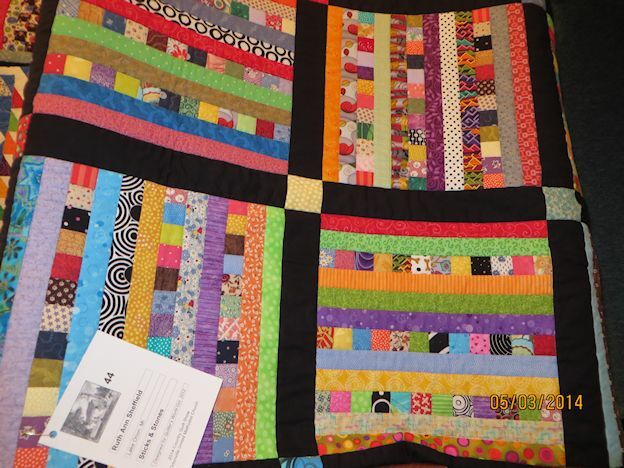 I love seeing the blocks put into quilts …. 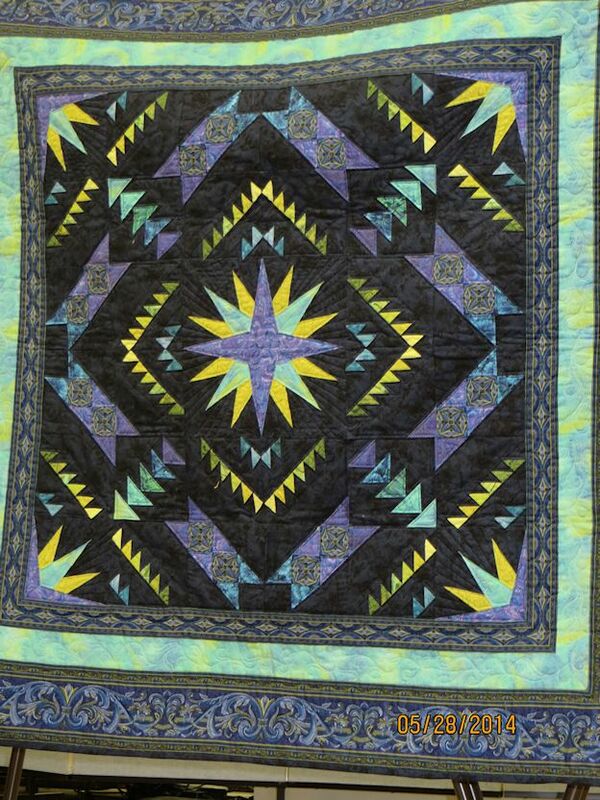 I can then dream of making the quilts in the future. There are a few things I do not like about the magazine, and it is a really small dislike, is the change in the participants. 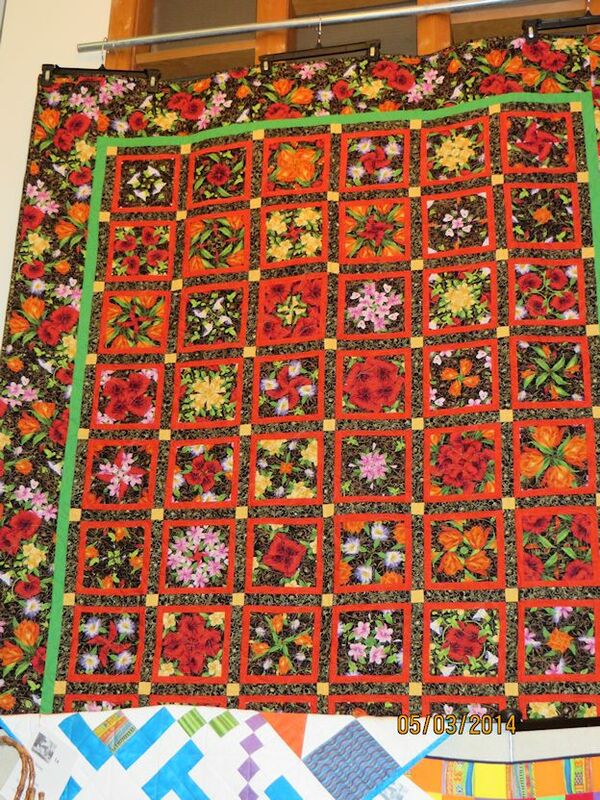 When the magazine first started releasing these designs they and the instructions were written by the average quilter who sent in block designs. 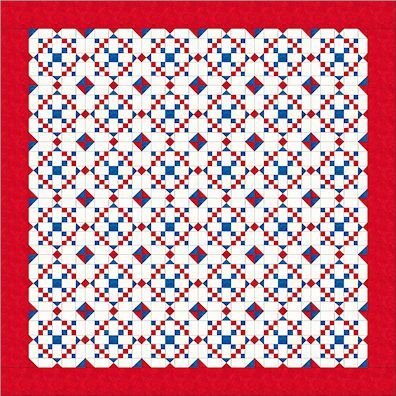 I have noted a big shift to block designs by the quilting superstars and fewer and fewer blocks by the average or novice quilter. 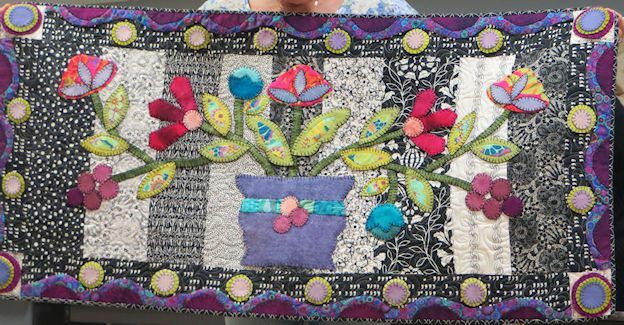 What attracted me to the magazine in the first place was blocks design by average quilters … I felt it was inspirational. 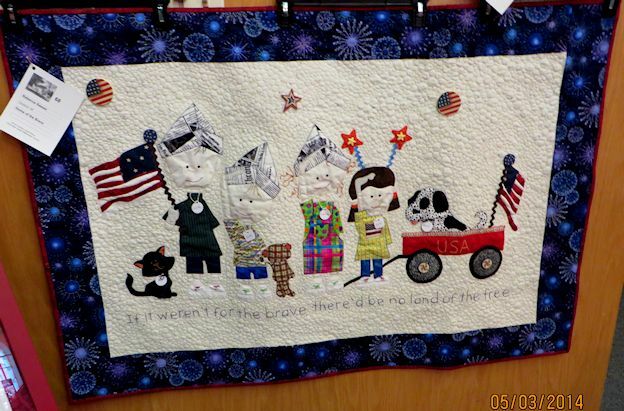 I loved the blocks by newbies, I hope in the future they at least balance the submissions half newbies / nonprofessionals and the other half of the submissions by the quilt divas. I will say one of the reasons I redraft the blocks is I have trouble understanding the instructions in most patterns, not just the ones in this magazine. I have better luck figuring out the pattern myself. And yes I frequently make changes along the way. So do not go by the redrafts but check out the magazine. You might have better luck understanding the instructions than I have. I am not very good at redrafting the blocks but my skills are improving. 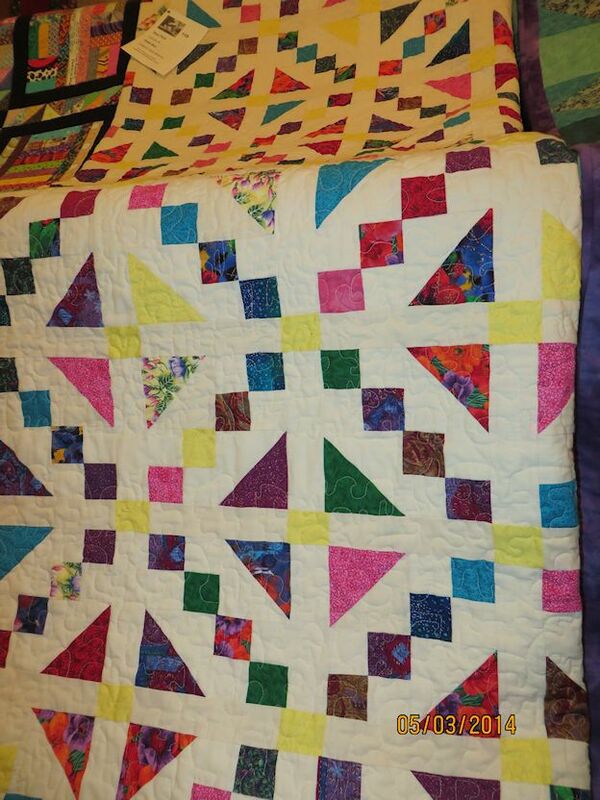 I will be posting pictures of the blocks and quilts I have redrafted in EQ as time and energy permits. 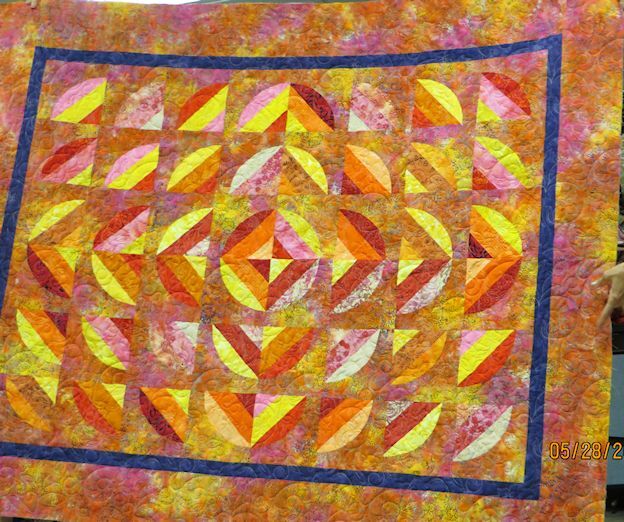 I should warn/ tell you I tend to pick solid color fabrics or tone on tone for coloration of the blocks. I rarely pick prints because they do not show well in EQ. Over the years I have used less and less print fabrics. 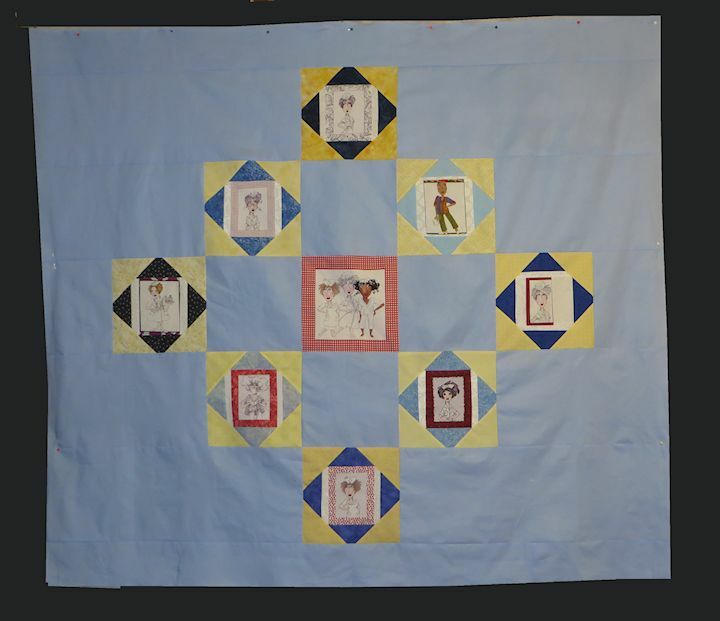 MY quilting on the nurse quilt is progressing but there is no way I will have this quilt done by May 8th, which is okay by me. We have decided to give it to my co worker for her trip to the Cancer Center instead. 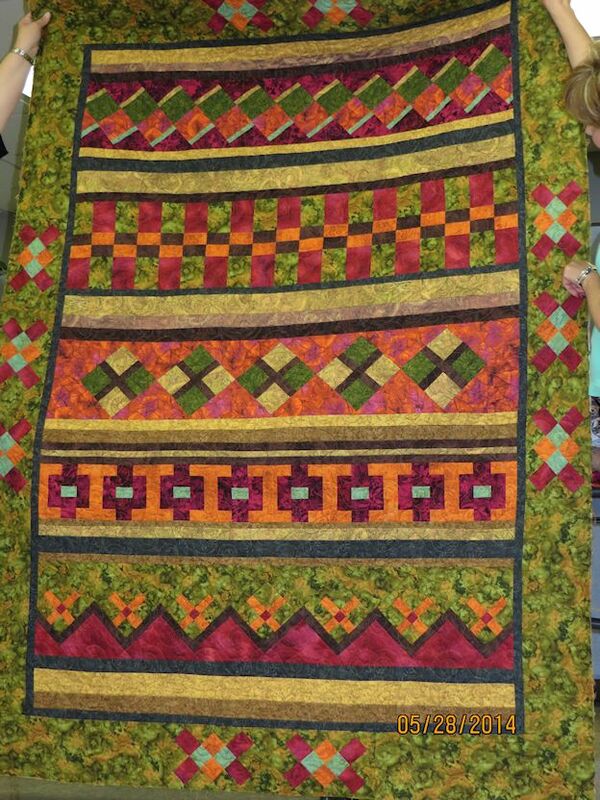 I have all the straight line quilting done and am now filling in some areas with FMQ. 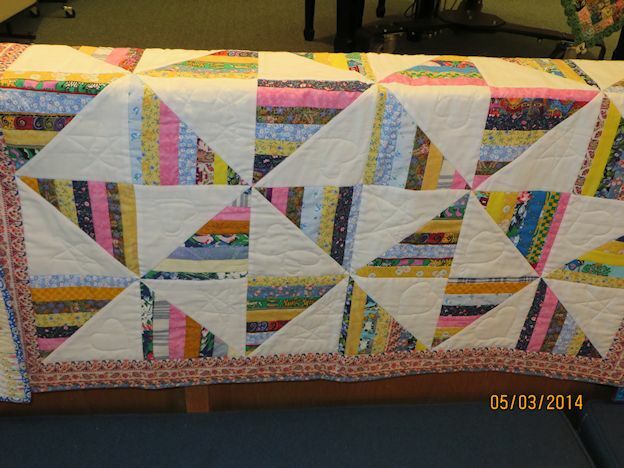 The blocks are 12 inches and it needs more quilting than what straight line quilting offers. 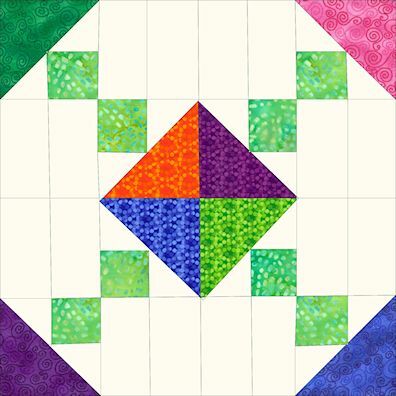 I have mimicked the nurse blocks in adjacent blocks copying the look of the blocks; I plan to fill it in with FMQ. 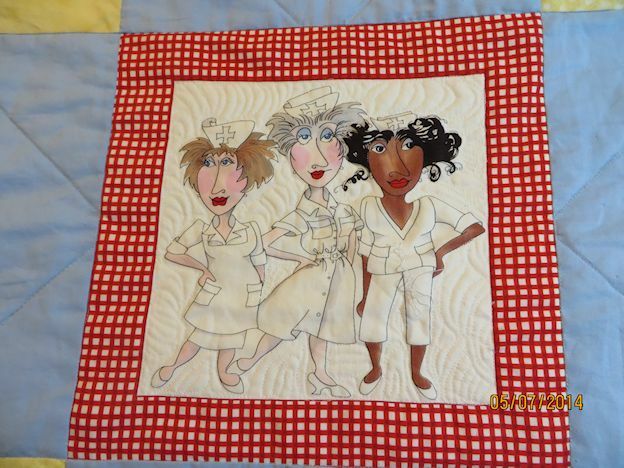 I am adding FMQ to the nurse blocks. Each one will have a different motif as I am using Angela Walters and Leah Day’s books for ideas. 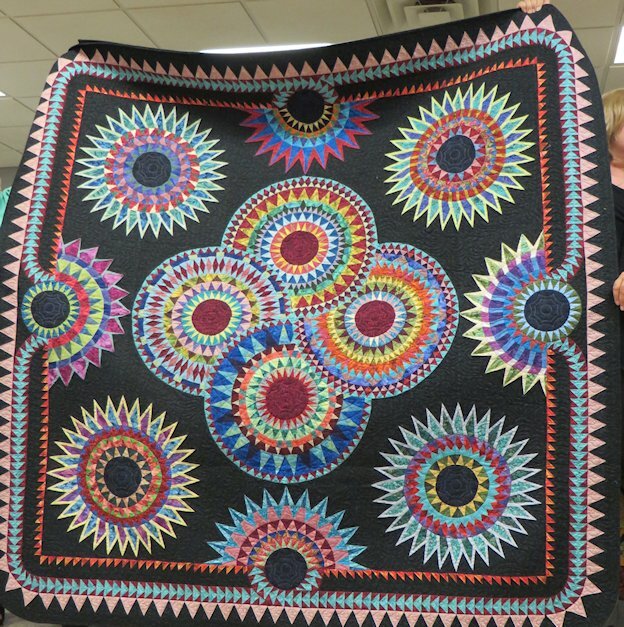 There is so much to try as I can have a different motif in every block. Using the #4 SERPENTINE STITCH on my Bernina stitch size 2.0 width 3.0. This segment was sewn on the diagonal … I used painters tape to get my lines straight in this segment and the plain straight stitch segment. I marked this segment incorrectly ( I mark with Roxanne marking pencils) I should have drawn a line down the center of the segment so that all the points landed at the same line. It might be hard to see in the picture but the points vary from line to line. I am thinking of adding some FMQ in a couple of the bands with the hopes it camouflages my point mistakes…. if it doesn’t it is design decision. I am mimicking the nurse block in the adjacent space. 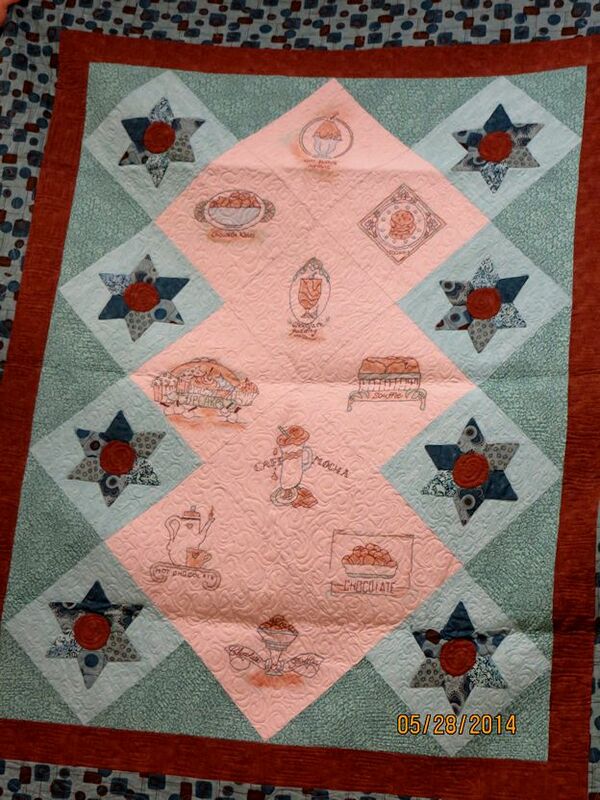 I still have to mark a inner square which will be filled in with FMQ. 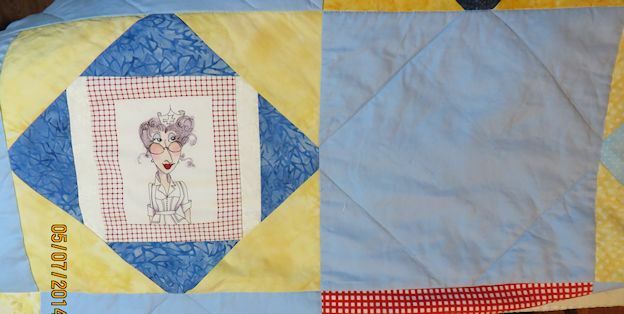 When I first envisioned this quilt I had planned on simple straight line quilting but then the quilting took on a life of it own and I keep adding more and more details. If you click on the small pictures they will take to you a larger photo where you can see more detail. 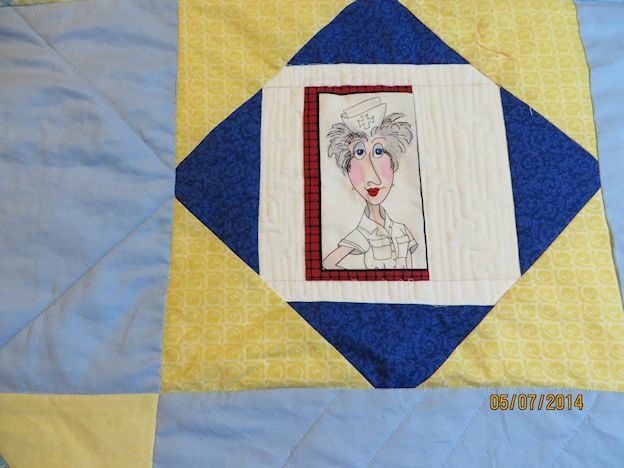 Each nurse block will have different FMQ fill in the back ground. 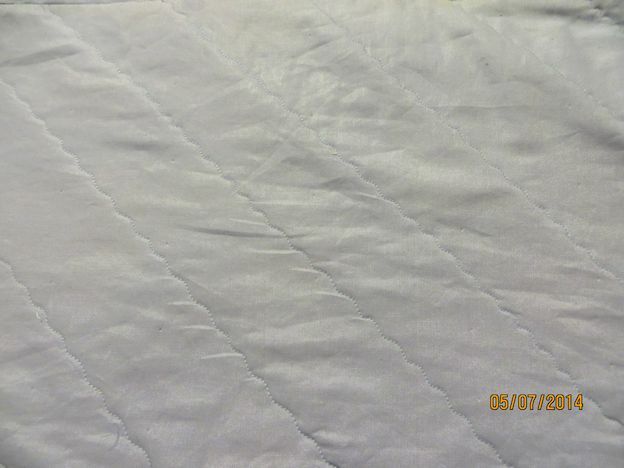 The batting stated I could quilt 10 inches apart as it is a needle punch batting but my quilting has been between 2 to 4 inches apart. 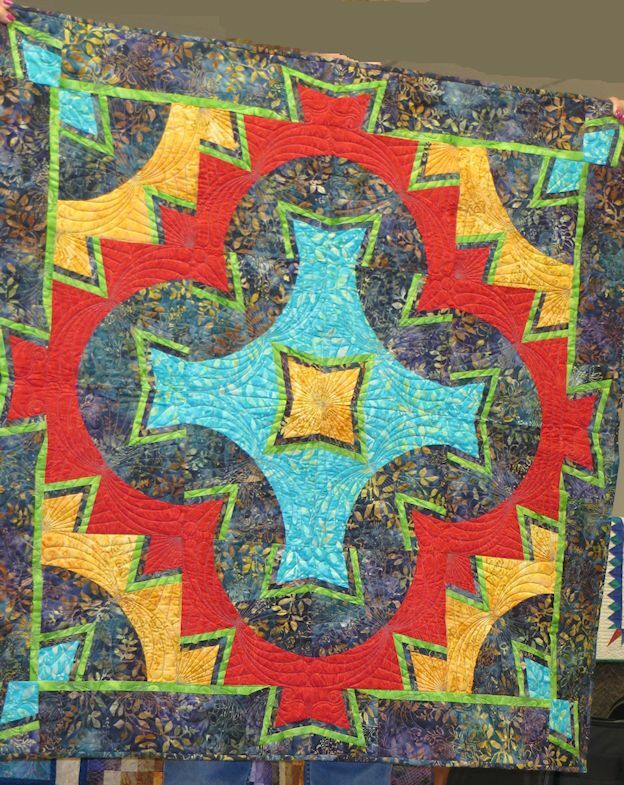 I think of it as a mix of Modern and Traditional quilting styles. 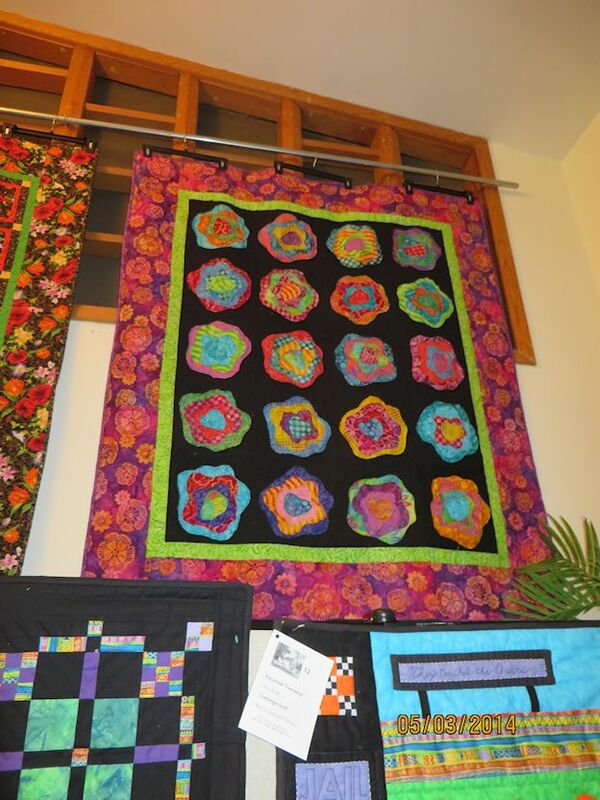 Modern quilts seem to have denser quilting; traditional quilts seem to have more space between quilting. 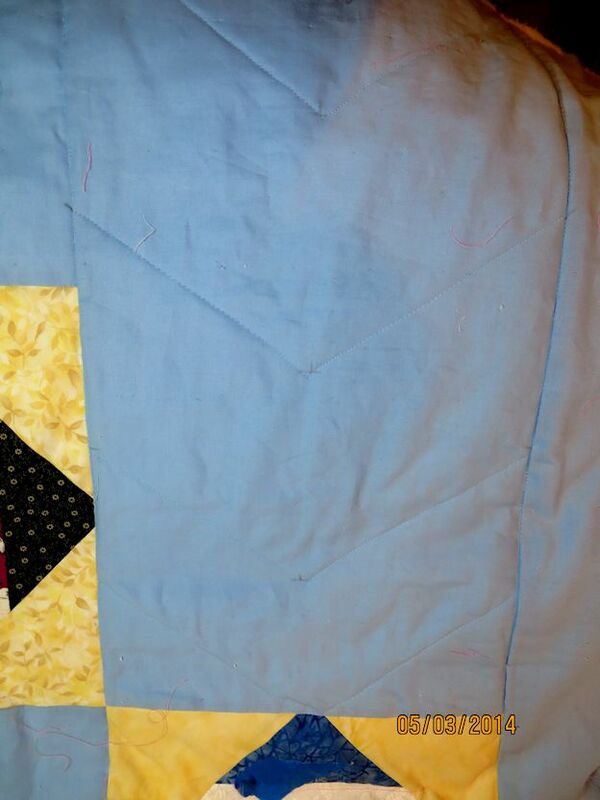 I am quilting a quilt for a raffle at work. We are going to support one of the girls with cancer. 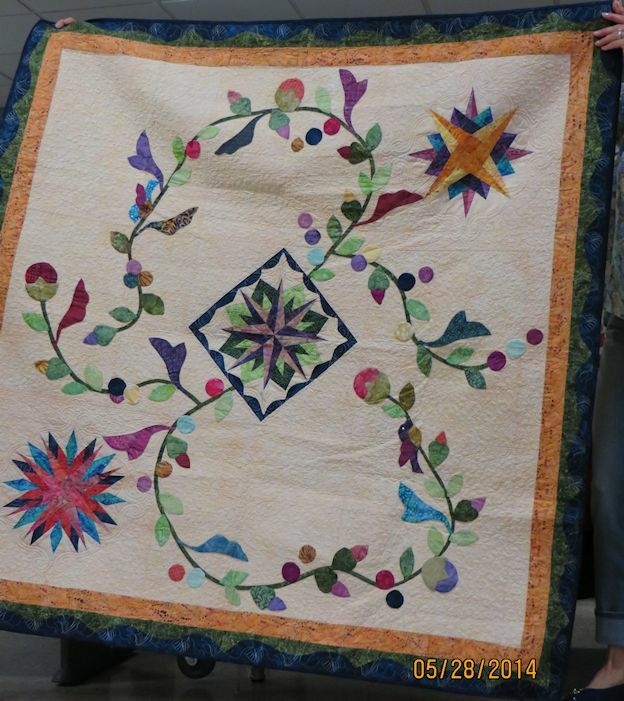 I just finished CRAFTSY CLASS : CREATIVE QUILTING WITH A WALKING FOOT by Jacquie Gering and have been using her techniques. 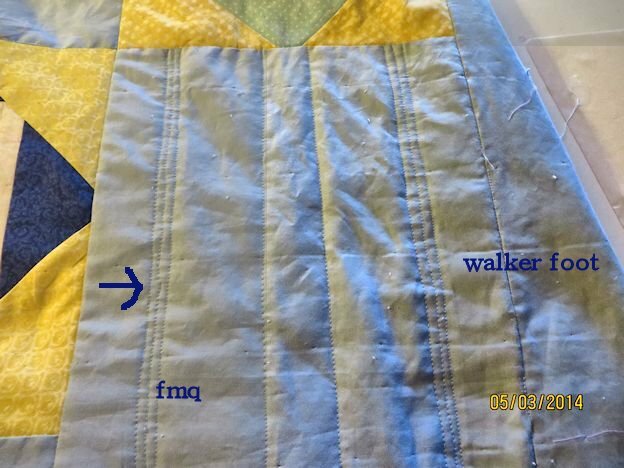 I had started using my FMQ /STITCH REGULATOR foot to do the straight line quilting but I found that I frequently ended up with little jumps when I stopped the quilting to move my hands. I ended up tearing out a lot of stitches. 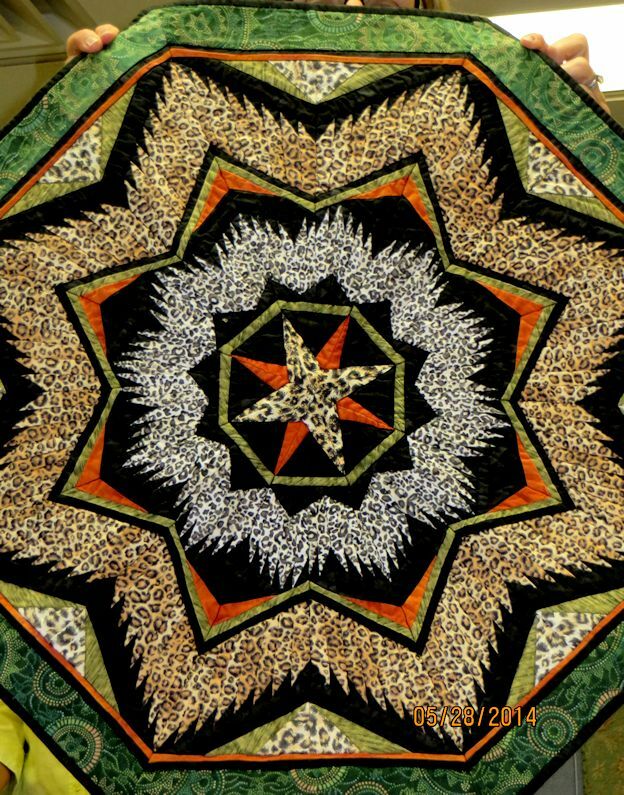 Usually when doing FMQ those little jumps that may occur are camouflaged by curved FMQ I usually can accomplish. 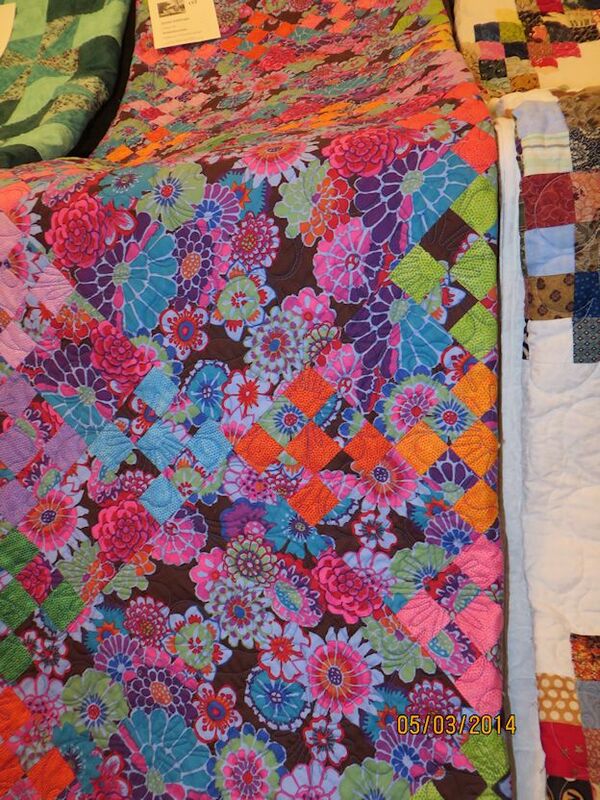 But STRAIGHT LINE quilting highlights any goofs and make them hard to camouflage. I also noted despite using painters tape to keep my lines straight… I tend to veer off to the right or to the left… my straight lines are not straight. I usually compensated by straight line sewing several lines… side by side for some reason they just looked better and no longer looked crooked…. ( My story and I am sticking to it.) Since I am in a time crunch I switched over to the WALKER FOOT. My lines are more consistent with less bobbles. 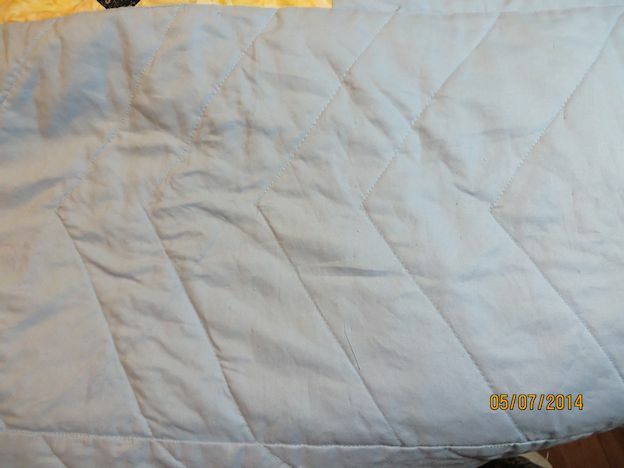 My batting will tolerate quilting 10 inches apart but the furthest I have quilted was 4 inches apart but since I did not like that I have quilted closer together. 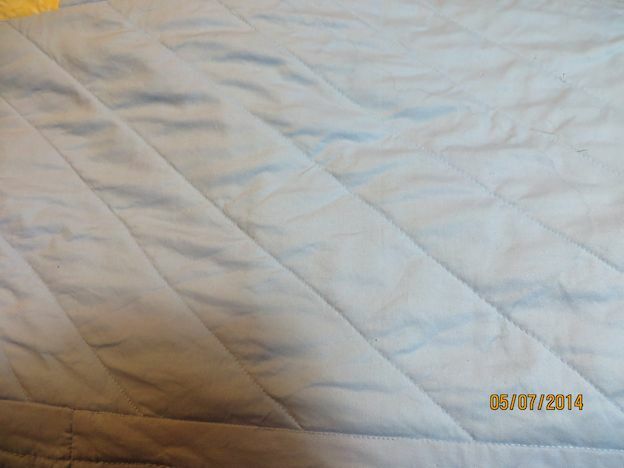 I think I have gotten use to the new style of close dense quilting. 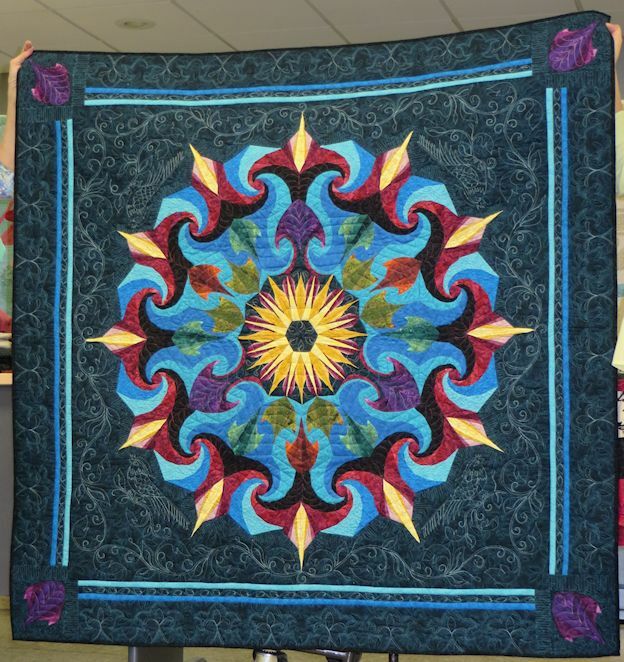 But I do not have time to do dense quilting. 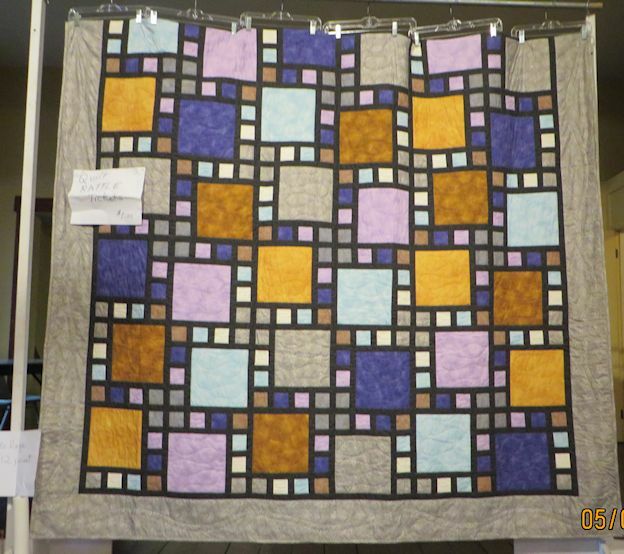 I will be posting more pictures here as I progress with the quilting so check back. http://www.amazon.com/gp/offer-listing/1571205098/ref=tmm_pap_new_olp_sr?ie=UTF8&condition=new&sr=&qid= …. 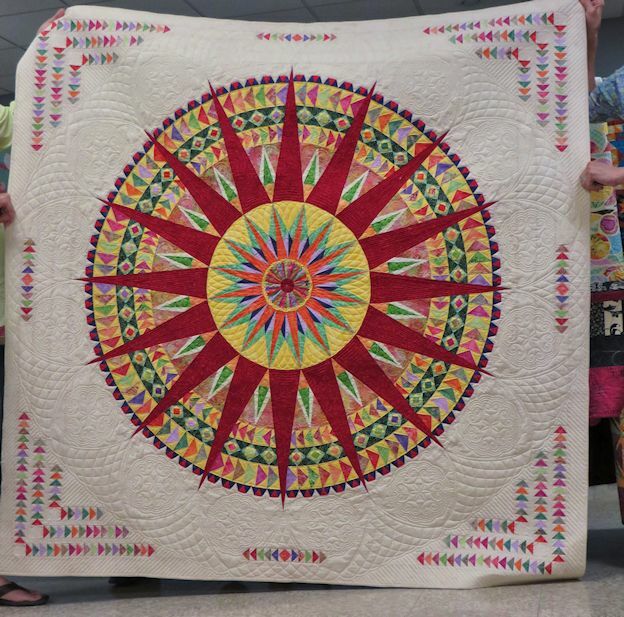 Foolproof Machine Quilting by Mary Mashuta …. 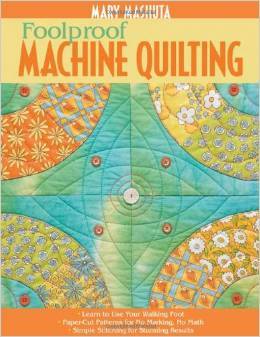 I recommend Mary Mausta’s book FOOL PROOF MACHINE QUILTING USING A WALKER FOOT I keep it on my reference shelf. 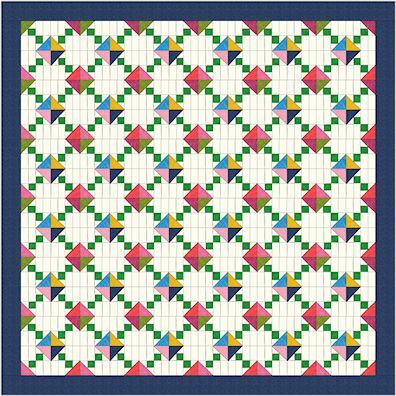 I like the innovative quilting technique this book teaches. 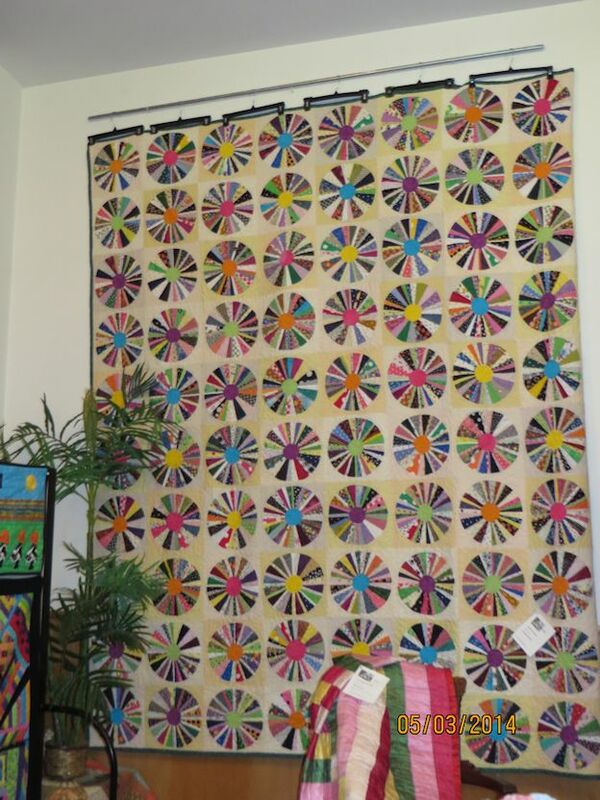 It is great for those quilters who want or need to quilt their quilts on their own. You are not stuck with blase simplistic motifs, I loved what she did with her borders. Mary teaches you how to cut out templates from of all things contact paper to use them in multiples to quilt out unique patterns. These motifs worked particularly well with several quilt as you go quilts I have made in the past. 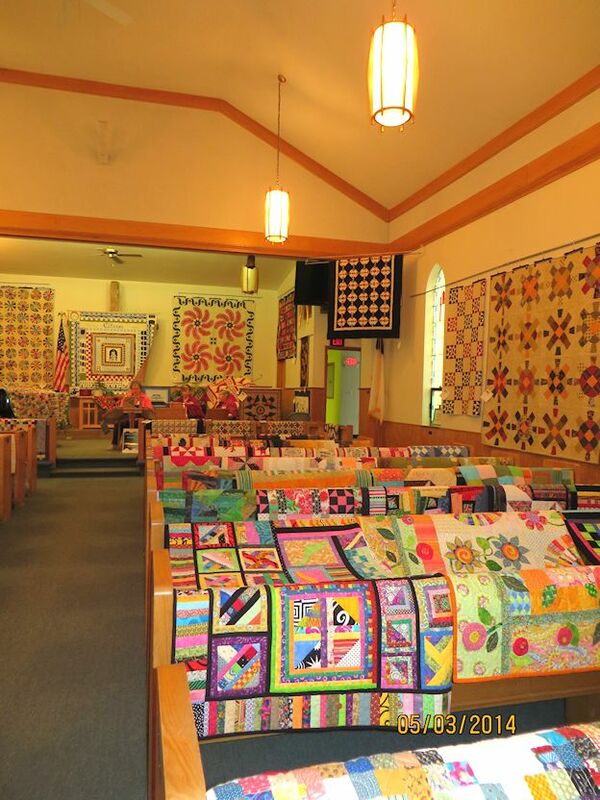 This is a lovely little quilt show for two days in Ortonville MI … It is held in the local church … The quilts are place over the pews… I usually get some pretty good close up pictures of the quilts, but very few overall pictures. 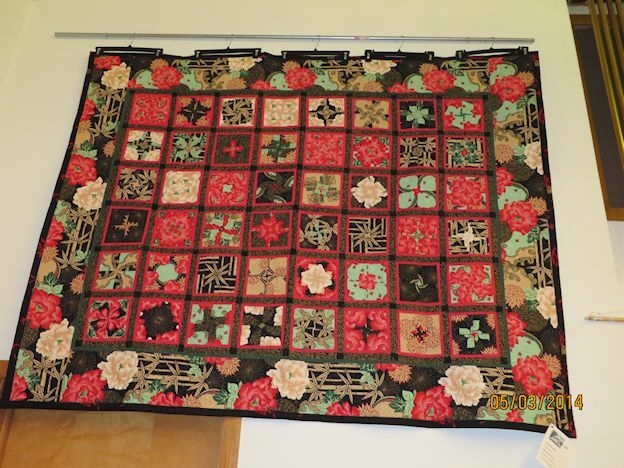 I love looking at the quilting as I am really into the quilting right now…. So enjoy the pictures ..
MORE pictures to come ….